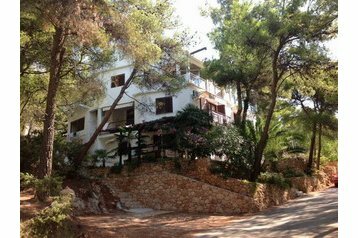 Apartments in apartment house in the village Sveta Nedjelja, 200m far from the sea, on the island Hvar. Garden furniture, garden grill, swing, umbrella. The landlord speaks also English, German, Polish, Czech, Slovak. Internet access. Parking by the accommodation facility. Grocery shop 400m. Bus 400m. Sveta Nedjelja - centre 400m.